I had a dream this night dealing with the creation of probabilities in each moment. In this dream it was absolutely clear how to stop with undesired probabilities. Words are a weak means to express the knowing that I had to decide that I don’t want to continue certain events. The dream was semi-lucide that is, I knew what I was doing and I understood how to create new probabilities, but what was not lucide was, how I changed the existing probabilities. 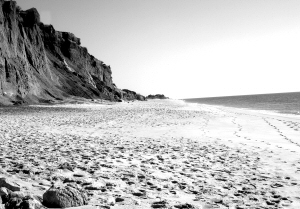 I was rearranging a lot of black and white images which where all images of beautiful beaches. So far I have not yet an interpretation of the „black and white“ images, however it has certainely something to do with beliefs and duality and how they separate the world in black and white. But now I know: I can simply stop whatever I choose to! Of course, I still need practice. ..